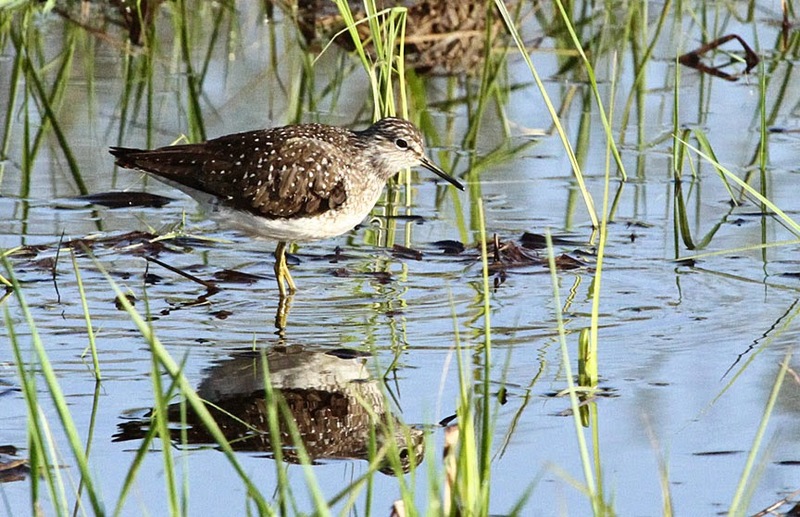 Gerry and I stopped at Sackett's Brook Wetland area on Sand Hill Road in Putney where this solitary sandpiper has been hanging around. 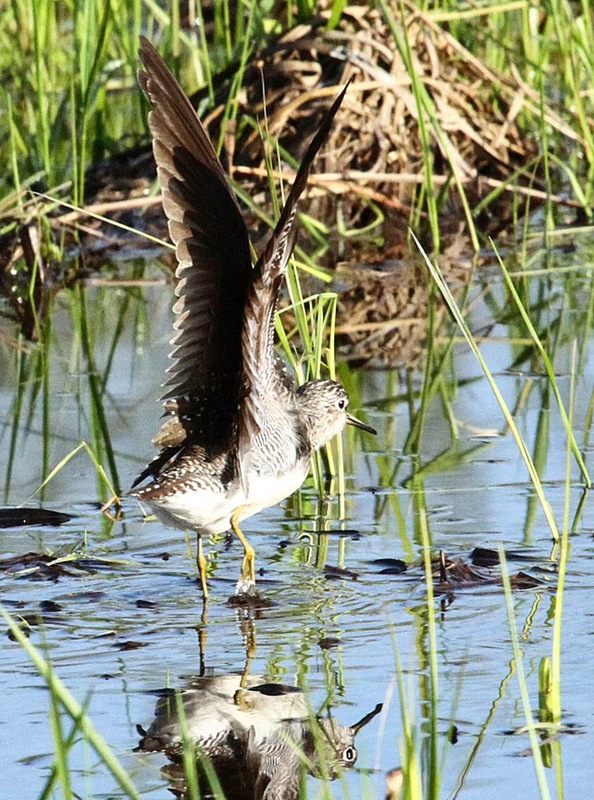 So named because the solitary usually migrates alone rather than in flocks, this sandpiper will frequently bob his head, whereas the spotted sandpiper, bobs his tail! 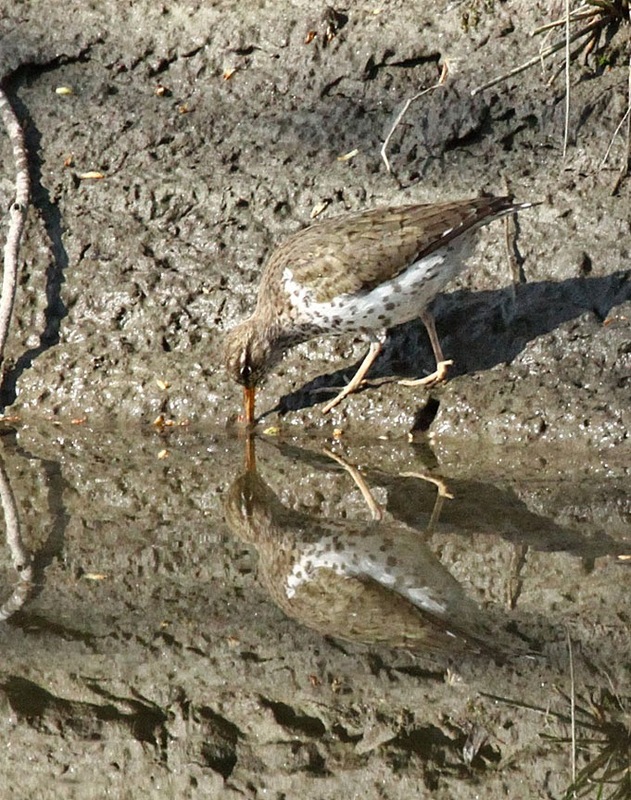 This spotted sandpiper was almost perfectly camouflaged against the bank of the Mill Brook, at Dummerston Landing. 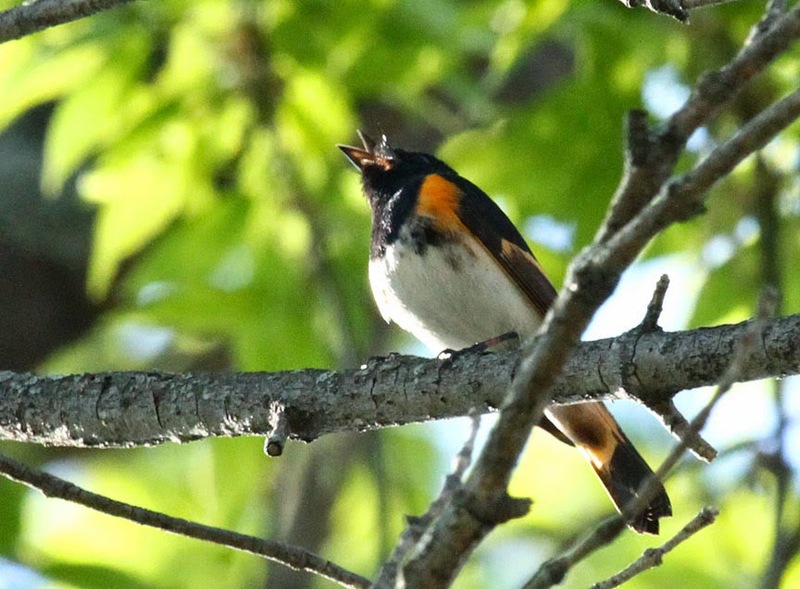 The American Redstart flashes the bright patches in its tail and wings. 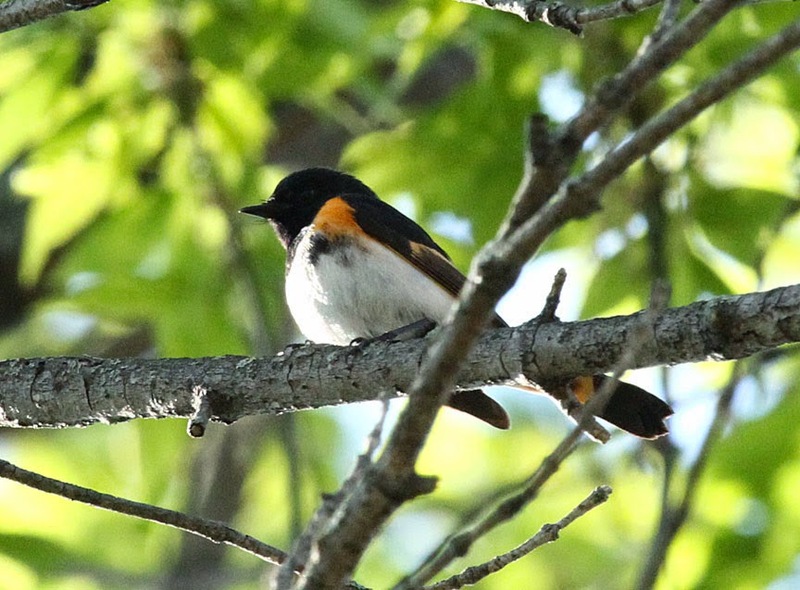 This seems to startle insect prey and give the bird an opportunity to catch them. 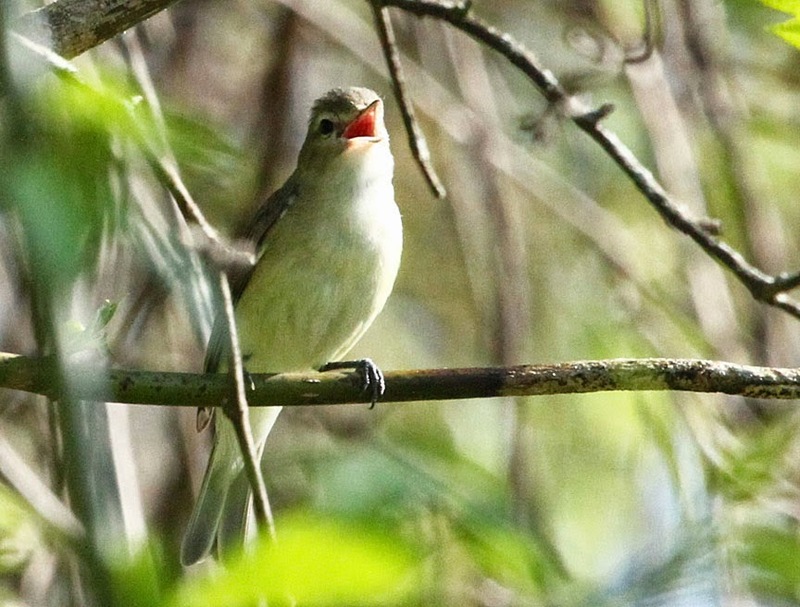 Easy to locate by his song, the rhythm of the warbling vireo's song goes like this - "if I see you, I will seize you, if I squeeze you, you will squirt"! 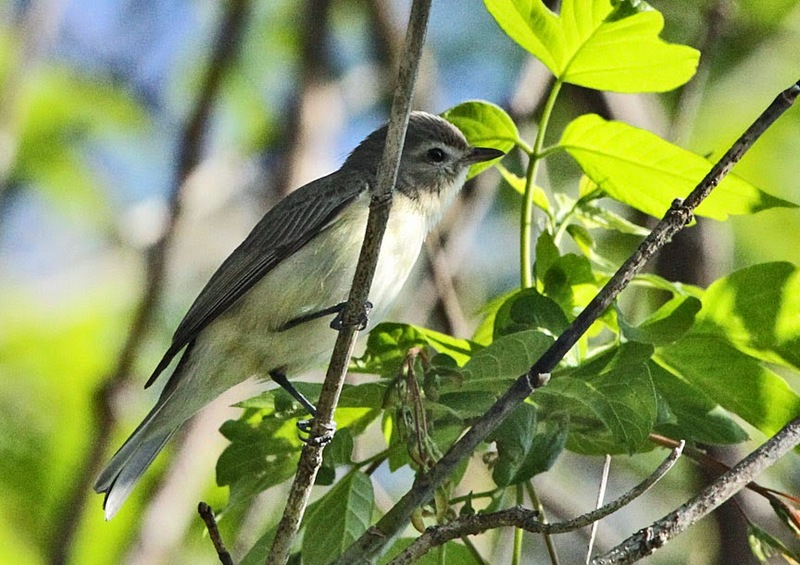 Warbling vireos are always described as being a small, drab bird. 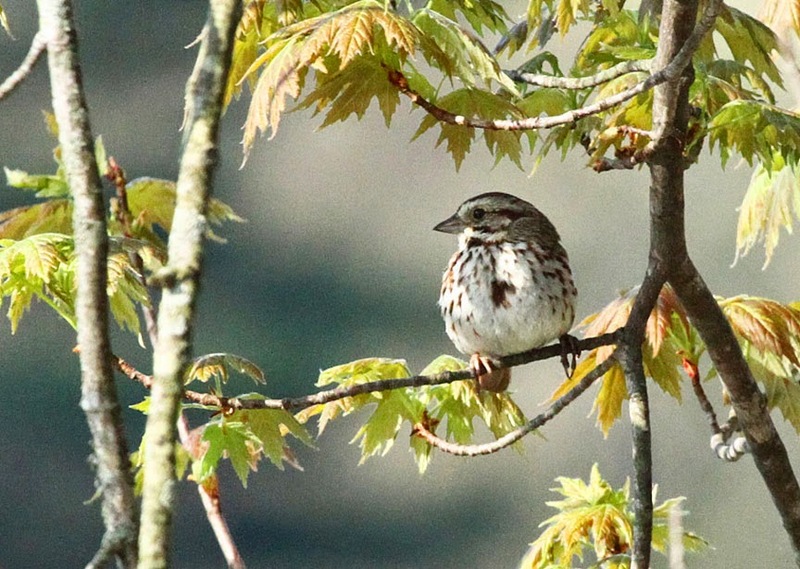 Song sparrow's song consists of 3 short notes followed by a varied trill, sometimes interpreted as "Madge-Madge-Madge, put-on-your-tea-kettle-ettle-ettle".